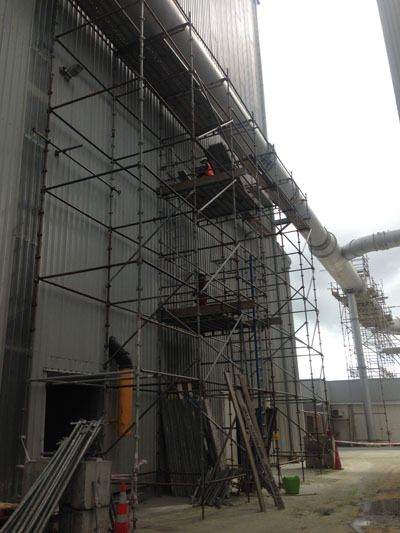 All Scaffolding have worked very closely with the likes of Pacific Steel / Blue Scope Steel and Aspec Construction. We also are involved in projects with the likes of OI Glass, Sandfords, Western Milling and Haurataki and many more. Our scaffolding work ranges from general maintenance, major shut downs and all out of hours call outs due to breakdowns and/or maintenance.